Former army ranger Boone Anderson immediately senses danger when he spots Scout Cramer and her precious little girl while holiday shopping. Then two cars suddenly give chase in the parking lot—kidnapping the child. His worst suspicions are confirmed, and professional instincts propel him into action. Having lost his own infant daughter years before, Boone is determined to reunite the beautiful single mother and her missing child. But when a secret from Scout's past finally catches up to her, she must work with her self-appointed guardian to save her daughter. Before the kidnappers cancel Christmas for all of them… permanently. There was definitely a feeling of desperation in this suspense novel of kidnapping and hostage rescue. I liked the characters and the team that Boone worked with. The sense of connection between Scout and Boone helped make the light romantic feelings between them believable in the midst of a crisis. There were some plot points that felt muddled and didn't quite come together, as well as some decisions made by the police and hostage team that didn't seem realistic. I have to admit that I enjoy reading the Love Inspired books! They are sweet, quick reads that provide a nice escape for a few hours. The Love Inspired Suspense line provides more excitement and drama, and I've read several that I rated 4 stars. 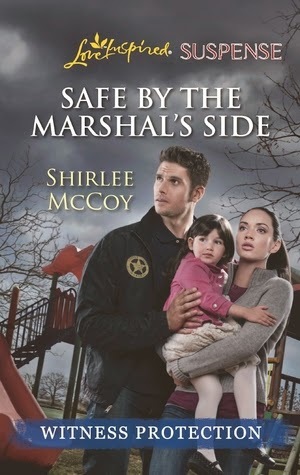 Download Safe by the Marshal's Side by Shirlee McCoy for FREE! For a year, U.S. Marshal Hunter Davis has protected witness Annie Delacorte and her toddler daughter. But now, someone is determined to stop Annie from testifying against the men who killed her husband. To guard Annie, by-the-book Hunter will have to break a promise to himself: to not get emotionally involved. After all, he already cares more deeply than he ever imagined for the sweet family of two- a family he'll do anything to keep safe and sound by his side.